Anyone try to run RespeQt on a Raspberry Pi? I'm thinking of trying and would appreciate any suggestions. I'm running the latest version of Raspbian. I guess I'll try to follow the Linux instructions: get the Qt 5 libraries and build tools and follow the compile.txt instructions. Any other things I should lookout for? This will be my first time compiling anything on a Linux-like system. Edited by Smokeless Joe, Fri Feb 5, 2016 9:55 AM. Please let me know if you end up with a workable binary. If you get it running, I might give it a try myself. And they say it took 38 hours to compile when overclocked to 900 MHz. So... this might take longer than I hoped. One step at a time, I guess. I wonder if I could figure out how to install ARM libraries on my Mac and cross-compile it? Admittedly, my MacBook Pro is getting long in the tooth (early 2011 model) but it's a quad-core i7 at 2 GHz. That's GOTTA be faster than a native compile on the RPi2. Takes some 10 minutes total (depending on internet speed and performance of your SD card) on a RPi2. On the old RPi use "make" instead of "make -j 4". first, then install Qt5. After that, it's down to trying to build a binary for RespeQt itself, I guess. Sounds like a fun project. EDITED TO ADD: Okay, just tried it. I'm actually running Wheezy. When I try to get the packages, I get an error that packages qt5-default and qtbase5-dev are not found. Hmm. Edited by DrVenkman, Sat Feb 6, 2016 8:04 AM. However with the RespeQt you do not need hardware handshake with GPIO anymore. I think I'm getting really close. Hias's instructions worked beautifully on a Raspberry Pi 1 Model B+ with a spanking new install of Raspbian Jessie. I've got RespeQt up and running and looking really pretty. Now I just have to get it configured correctly. 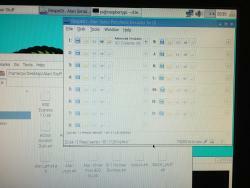 In Options, I can select Standard serial port or AtariSIO. For Standard, it's looking for /dev/ttyS0. For AtariSIO, it's looking for /dev/ttyatarisio0. If I set Standard to /dev/ttyUSB0, RespeQt acts like everything is working but nothing happens when I try to boot from it. 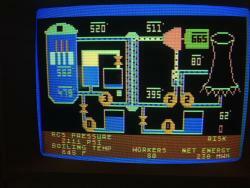 Nothing I put into the AtariSIO option even pretends to work. I'm hoping I'm missing something simple. Any ideas? I should add that I'm using one of a8w's SIO2USB kajiggers. I know it works because it works beautifully with my MacBook. When I configured AspeQt, RespeQt and SIO2OSX on my Mac, I had to specify the interface very particularly, with a specific suffix that appears. For instance, my SIO2USB device (also one of Ray's - looks and works beautifully) is something like "/dev/tty.usbserial-DAXT0OSA"
So I'd check the /dev/ directory on the Pi after you plug in the SIO2USB device and see if there's a specific port that appears. nothing at first. But once I changed the Handshake method to DSR it worked great! RespeQt on Raspberry Pi Raspbian Jessie! Aw YEAH! Big shoutout thank you to HiassofT and DrVenkmen for walking me through it! Good news! Once I finish copying over all my ROMs to the newly formatted and installed SD card in my RPi2, I'll update things manually with RetroPie (*) and then try to install Qt5, etc. That may have to wait until tomorrow. (*) Of course literally an hour after I bit the bullet, reformatted my microSD card to install RetroPie 3.4 with the latest Jessie on it and had copied over a few thousand ROMs, I saw on the RetroPie Wiki that just last night they released SD card images for RetroPie 3.5. Apparently the main download links on the Pet Rock Blog site haven't been updated yet. Damn it. Update on my own personal RP2 RespeQt ... it's not happening. And it's not happening for a basic, stupid reason that didn't even occur to me until fairly late last night when it was too late for me to do anything about it: RetroPie is a non-desktop distro. All the desktop software has been stripped out of Raspian and basically all you have are the kernel, a bunch of networking services, a bunch of emulator cores, and the EmulationStation front-end. So I need to pick up a new microSD card to use with a desktop environment if I want to play with RespeQt on my Pi. D'oh. RetroPie is a non-desktop distro. All the desktop software has been stripped out of Raspian and basically all you have are the kernel, a bunch of networking services, a bunch of emulator cores, and the EmulationStation front-end. So I need to pick up a new microSD card to use with a desktop environment if I want to play with RespeQt on my Pi. D'oh. 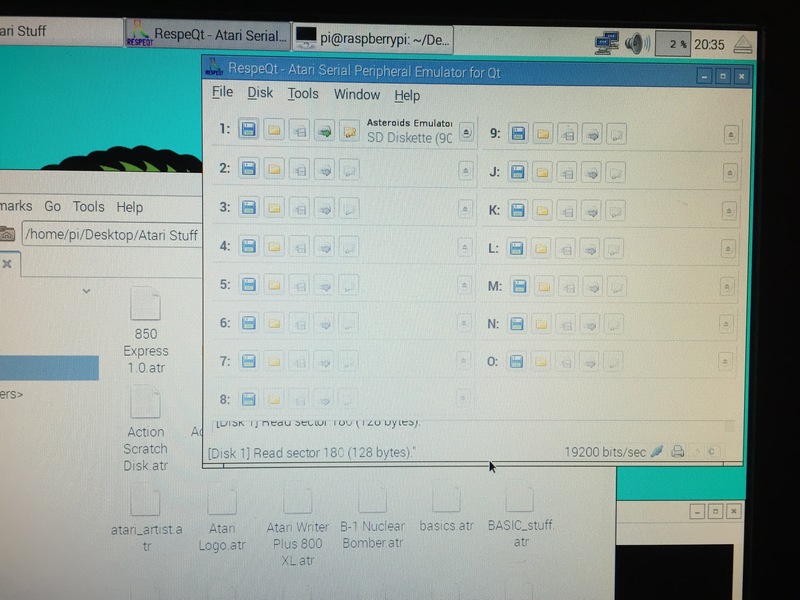 You usually don't need a full desktop environment to run X11 applications like RespeQt. An X11-server, a window manager like fvwm, icewm or even twm should be enough. You could just install these additional packages (don't install a display manager like lightdm/gdm3, this'll give you the graphical login screen after boot) and then manually start X11+windowmanager+respeqt. Eg setup an ~/.xinitrc and call "startx" or "xinit" from the command line. Checkout the manpages or use Google, there are tons of examples out there how to start X11 together with a specific app in a minimal way. You might even be able to add a menu entry to your RetroPie launcher for that, you just need to call a shell script or run a command. Thanks for the tips, Hias. I might give it a try. Might be easier just to get a new, bigger microSD card for RetroPie and use my existing 32gb card for a desktop environment. Not sure yet. I've only got <9GB free on this card and I haven't copied over anything but my 800 .xex files, my 2600, 7800, AdvMAME and MAME4ALL roms. I have booted the 130xe from the Raspberry Pi. 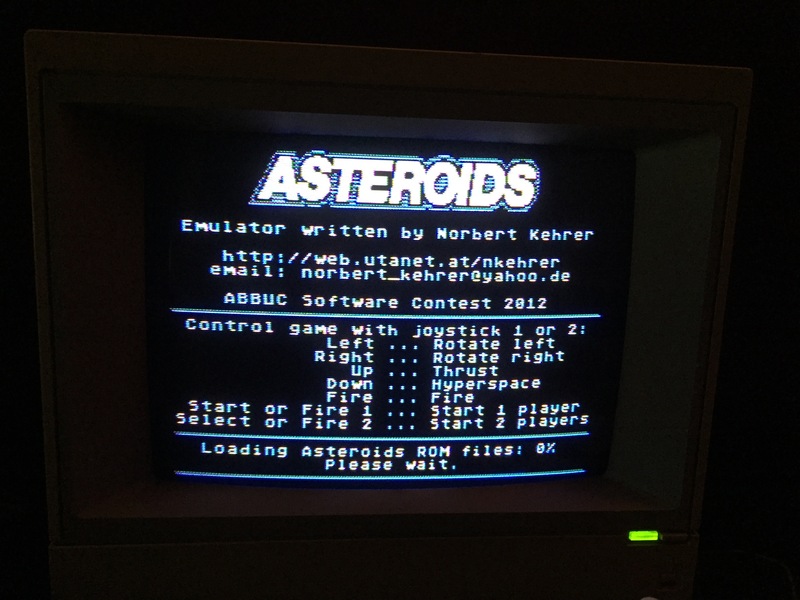 A forty year old computer booting a floppy image using a Raspberry Pi as the floppy emulation point. This is amazing. So I bought a new microSD card tonight and installed the latest Raspian Jessie on it, then followed Hias' instructions up-thread. SUCCESS!!! As noted, it took about 10 minutes total to install, and works an absolute treat. Thanks for the easy to follow instructions! Now to move all my .ATR files over to the new SD card (tomorrow's task). I took my setup one step further this evening. I have my Atari folder on my PC shared and connected to the Raspberry Pi over the network. So the Atari 130xe boots via Bluetooth using SIO2BT, connected to the Raspberry Pi via an ASUS USB-BT 400 adpater, running RespeQT with ATR images, mounted from a share on my Windows PC, via WiFi. Works great and runs so smooth. That is what I call taking a 40 year old comptuer to the next level technology. In the mean time I prepared a complete RespeQt package (containing all required libraries) for Raspberry Pi. 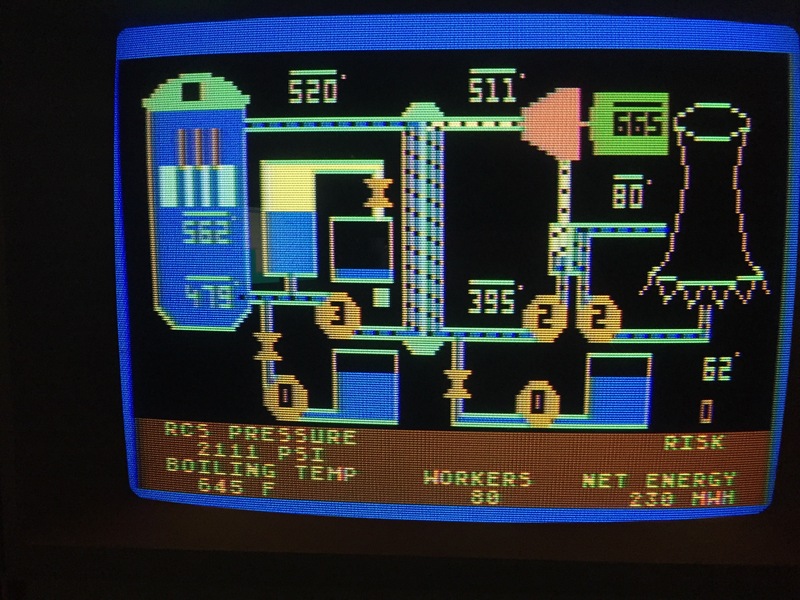 By the way, 3 years ago I worked on a small SIO2PI project for the RaspberryPi (http://atariage.com/...y/#entry2698490). The goal was to use the existing serial port on the RPI (/dev/ttyAMA0). The cable requires a simple level shifter (3.3V <-> 5V). I used a GPIO port for hardware handshaking (so I modified AspeQt at that time), but today with "NONE" and "SOFTWARE" handshake it is not necessary any more. Per default Raspberry Pi uses the serial port for tracing and for a serial console. Both functions have to be disabled in order to use /dev/ttyAMA0 with RespeQt. This opens a new possibility (not related to the RespeQt) to use the ATARI as a terminal for Raspberry PI. I will desribe my experience in a new thread. So in case anyone was on the fence about this, I used my RespeQt on my RPi2 to update the firmware on the Ultimate 1MB board I have installed in an 800XL. I flashed the main BIOS, PBI bios and SIDE loader without any issues, and all at 57,600 bps. Due to (apparently) some weirdness with how OS X handles some things at a very low level, I can typically only run this same SIO2USB device reliably at 38,400 bps. Yet the RPi2 with the latest Raspian kernel handles the higher speed without a hiccup. 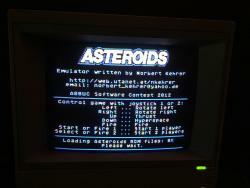 Once I had my U1MB updated I booted up a variety of files as a test, both standard single-density ATR files as well as some hacked-together high capacity virtual boot disks (Infocom ATR quads, each several single-disk versions of the classic Infocom text adventures which don't requite swapping). I also tested booting a few XEX files through RespeQt as well. All worked perfectly. Very pleased with my "RespeQtberry Pi" and now very much looking forward to building that dedicated widget this summer. EDIT: Just remembered I haven't yet tested .CAS file loading yet. Maybe for old time's sake I'll spend a few minutes loading up the cassette version of ZAXXON, crashing through a few badly-played games and then rage-quitting, just like when I was 14, lol! Or maybe I'll try something I remember more fondly, like B-1 NUCLEAR BOMBER; EASTERN FRONT: 1941 or SCRAM. That'll be tomorrow's fun. Edited by DrVenkman, Mon Feb 29, 2016 7:26 PM. 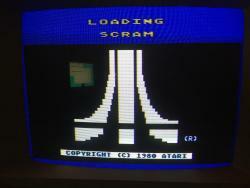 Okay, had a little time tonight and decided to test cassette loading. 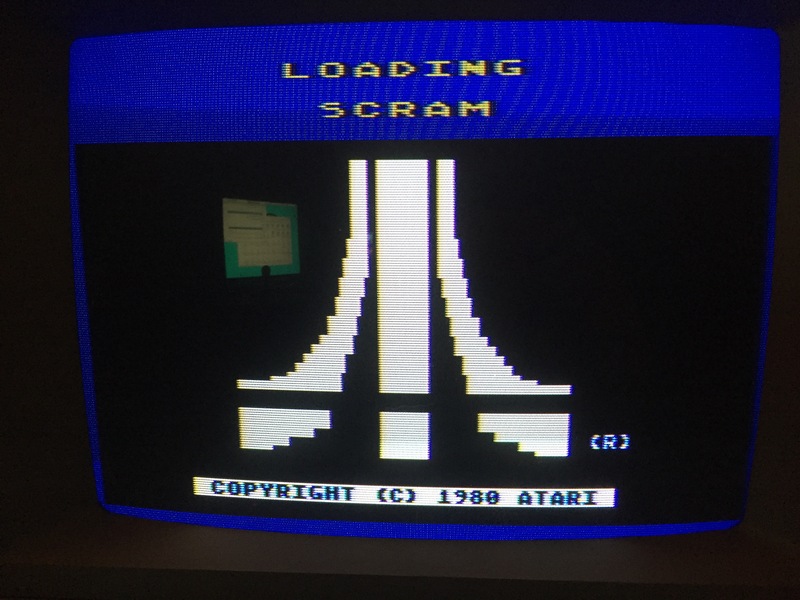 I used the "Custom" 875 baud rate option and the patched "High Speed" Atari OS with my U1MB ... it was a nerve-wracking bit of fun to wait through the several minute load time but then, voila! Worked great. Since I have 4 different Atari Program Recorders but none of them are working, it's good to know RespeQt is working as expected here. Today I finally got my RPI3. I tested successfully RespeQt binaries (from #20) with the current 32-bit Debian "Jessie". Built-in WI-FI and Bluetooth chips make life easier and the communication with Atari over Bluetooth works stable. TheMontezuma, you beat me to the post. I also tested with the Pi3 over the weekend and got it working (SIO2BT). The only issue I have is a couple of warnings during the compile and when I open the dialog to select a disk image the only time I see a list is using the All Files filespec from the drop down. Would love to see ATX files supported.